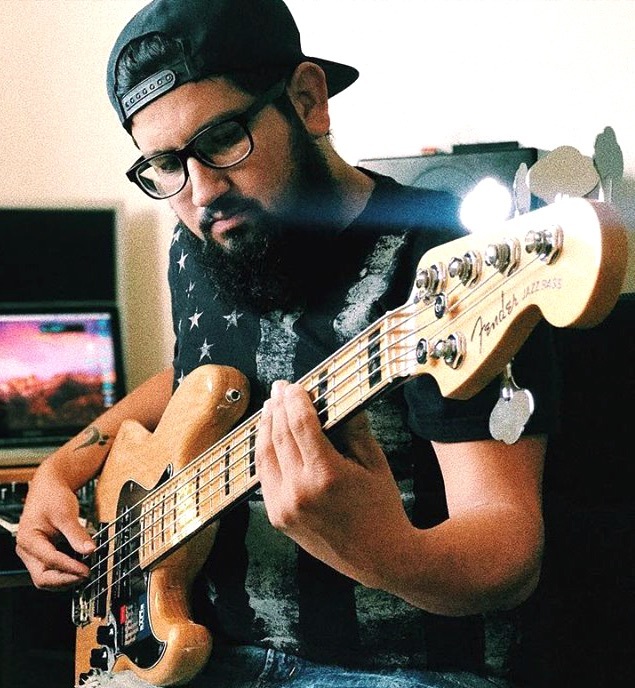 We take care of all your Music production needs! 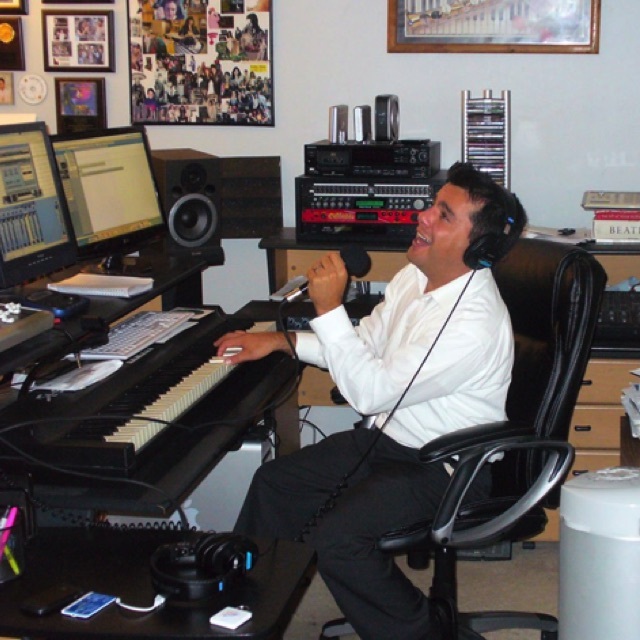 Music production, musical arrangements, recording of top notch studio musicians, top notch singers, mixing, mastering, etc. 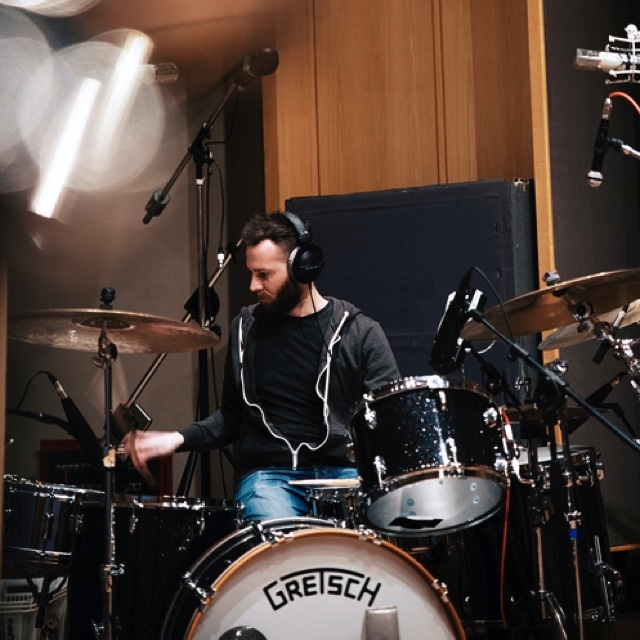 The whole process from start to finish. 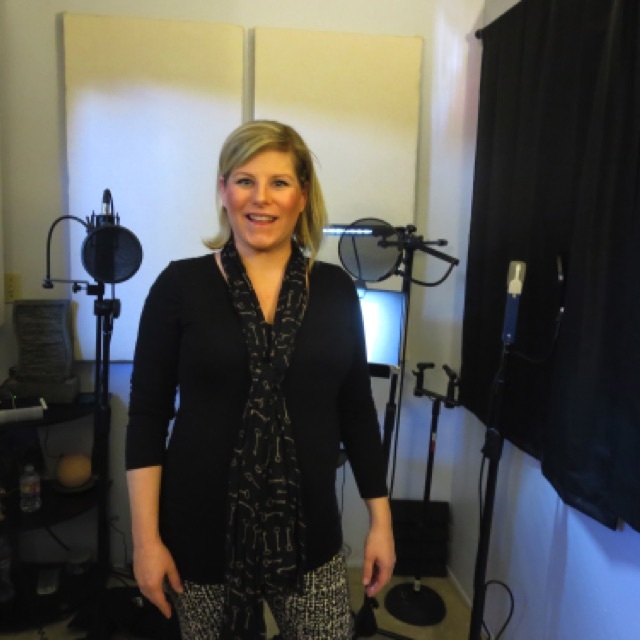 Songs, recors, albums. 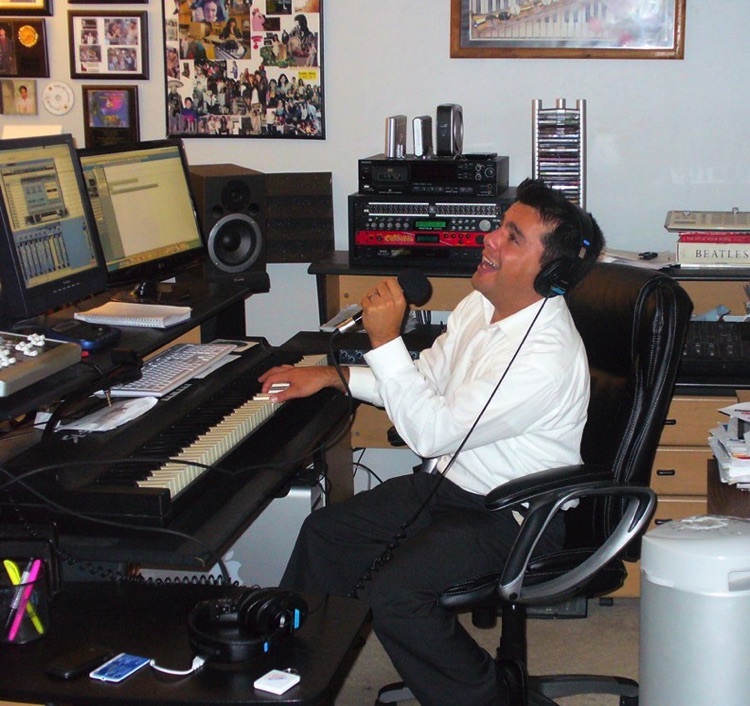 We have our own professional recording studio in San Diego County. 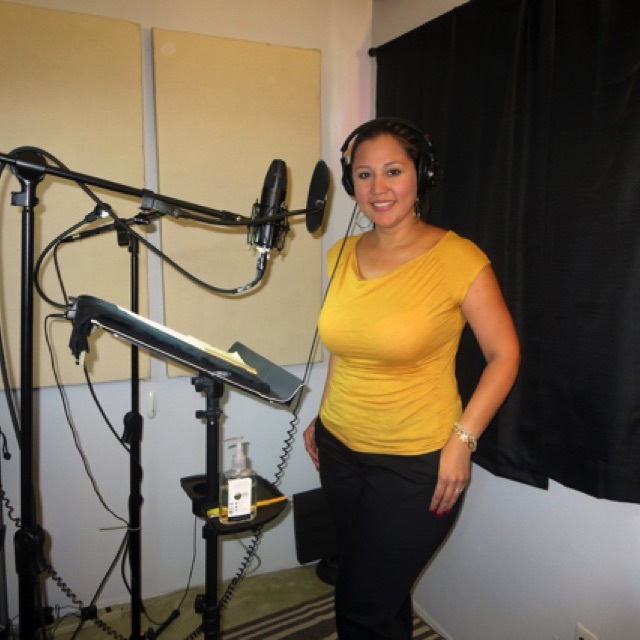 For advertising, we create and produce TV and radio spots and original catchy jingles in Spanish and English. 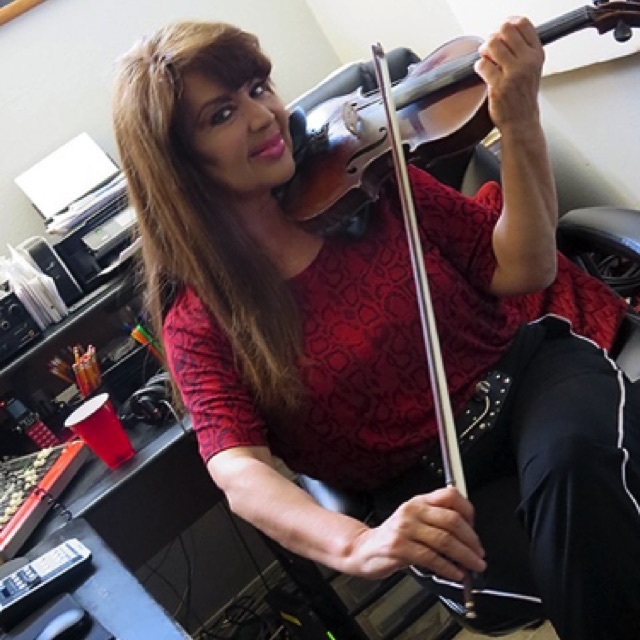 Original music for videos, documentaries, YouTube videos. 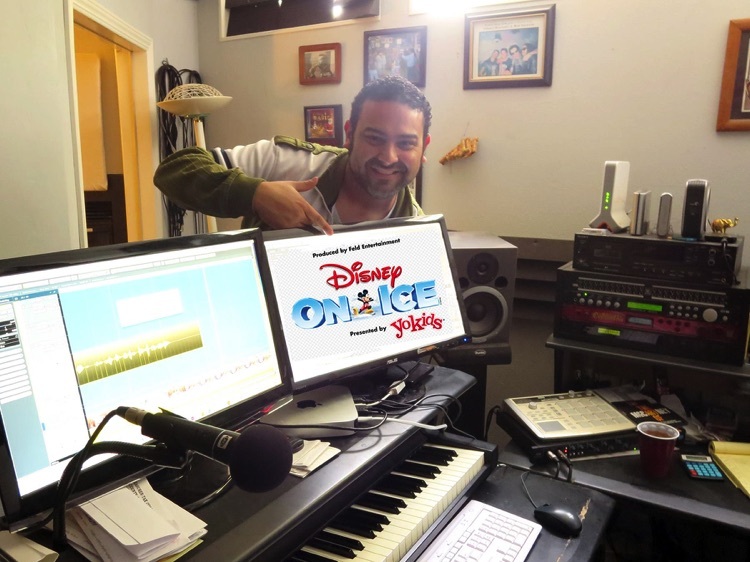 Original music for movies, songwriting and more! 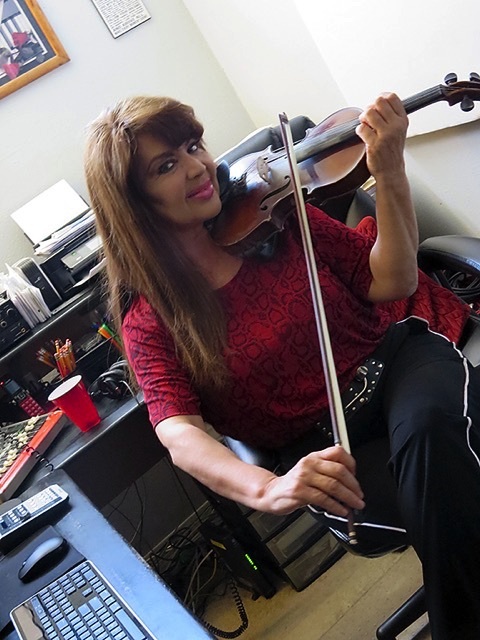 Olga Breeskin, famous Mexican artist and friend, recording at Lan Media Productions. 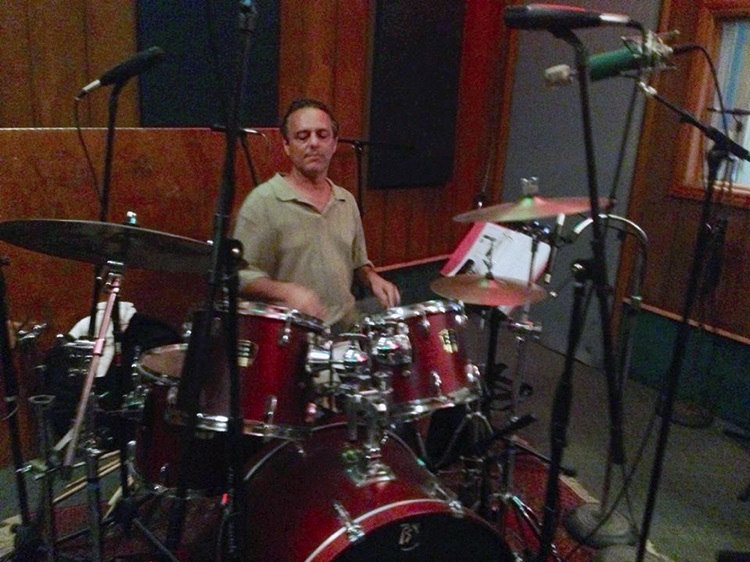 Drummer Rober Fighetti has played in several songs and Jingle produced by Lan Media Productions. 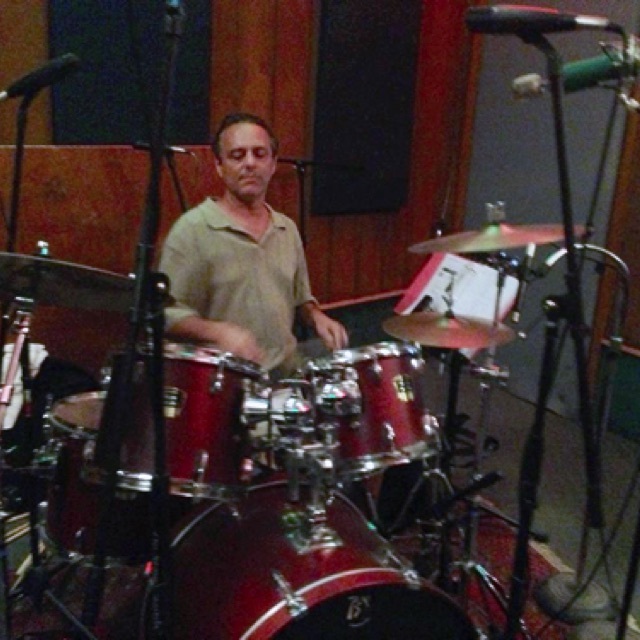 Rober is a very well known drummer that has played with Mark Anthony, David Bisbal, Cristian Castro, Luis Fonsi and Karol Sevilla (Disney). 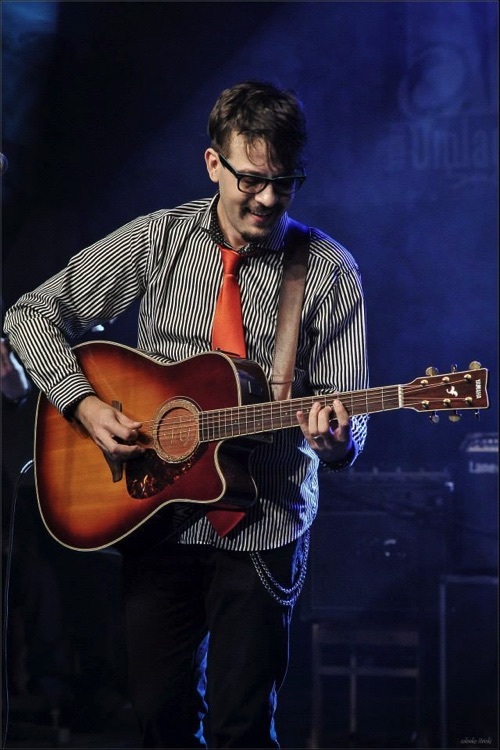 Multi-instrumentalist Luis "Lichi" Elorza. 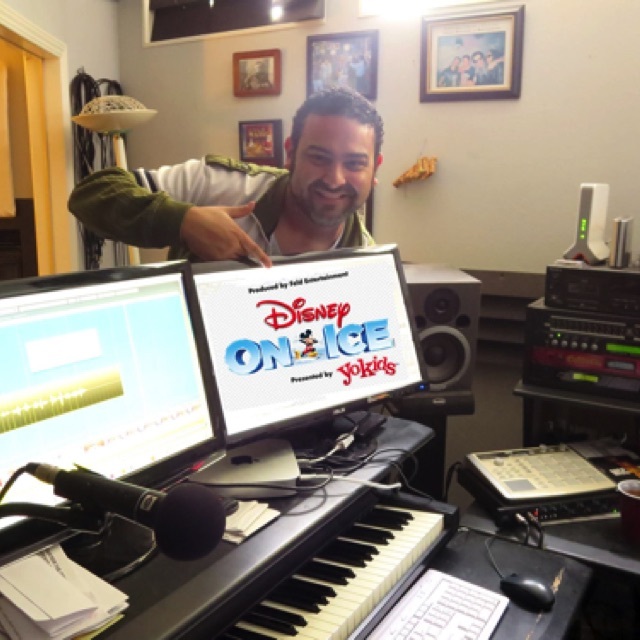 For more than27 years he has taken part and played in many songs and jingles produced by Lan Media Productions. 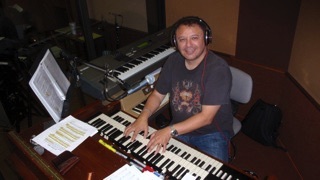 Carlos Murguia has sung several Jingles and songs produced by Lan Media Productions, as well as having played the Hammond B-3 in some of them. 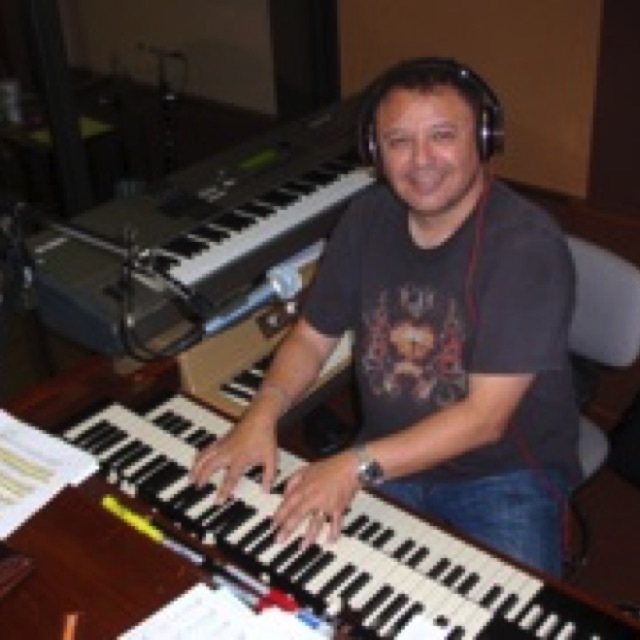 Carlos has worked with artists such as Luis Miguel, Enrique Iglesias, Alejandro Sanz, Alex Syntek, Thalia, Camila and many more. 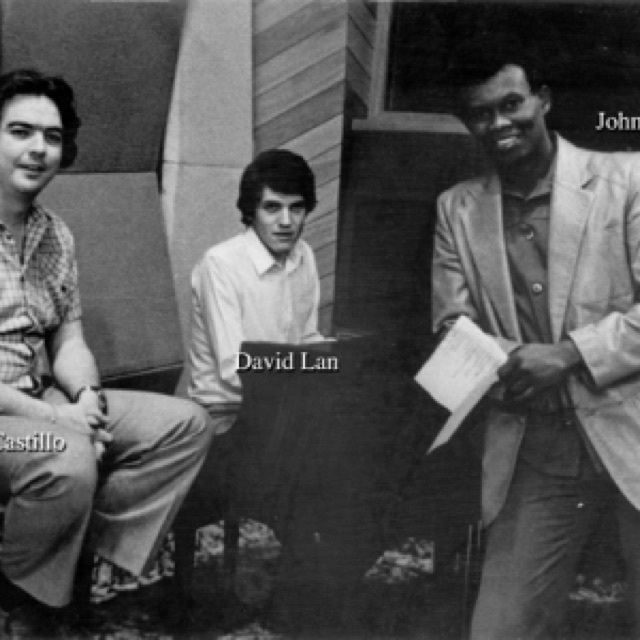 He's a great singer and great Hammond B-3 player. 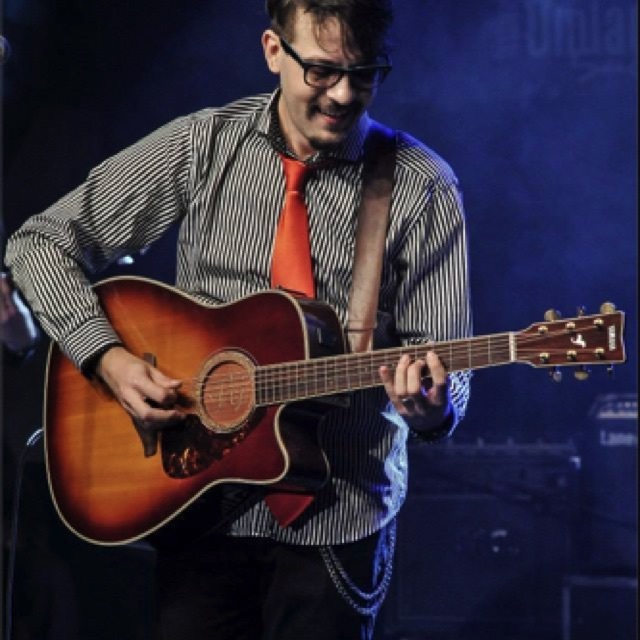 Vanja G. Guitarrist (acoustic and electric guitars), has played in many Jingles and songs produced by Lan Media Productions. 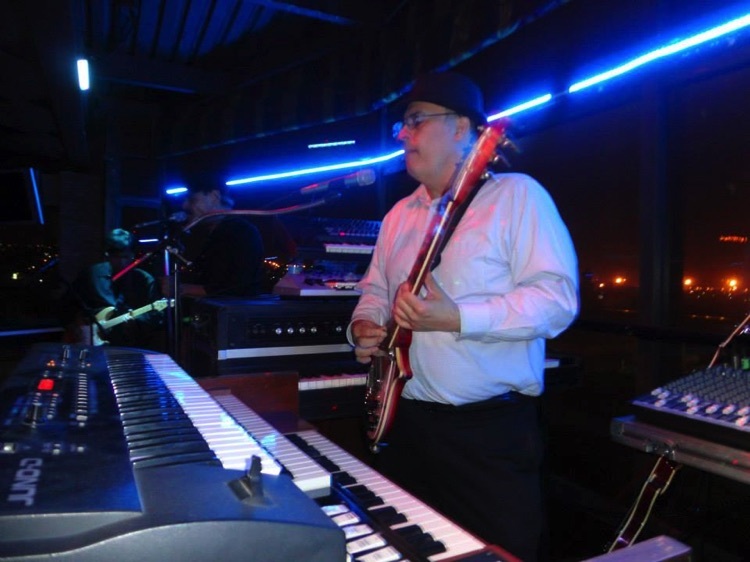 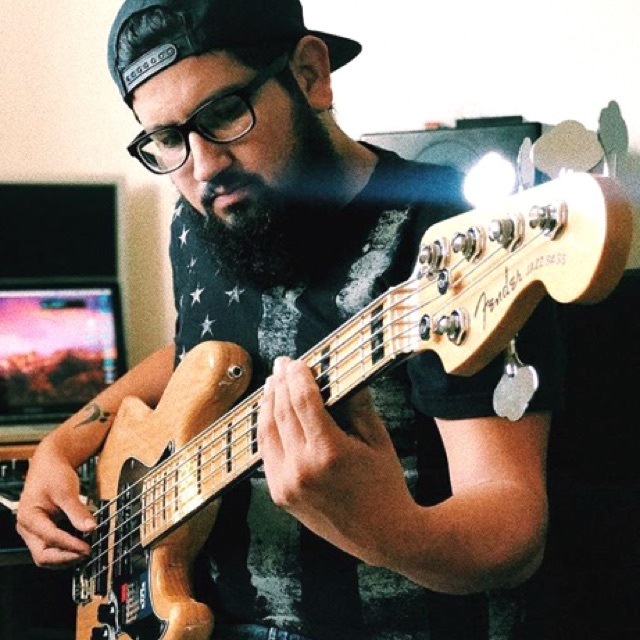 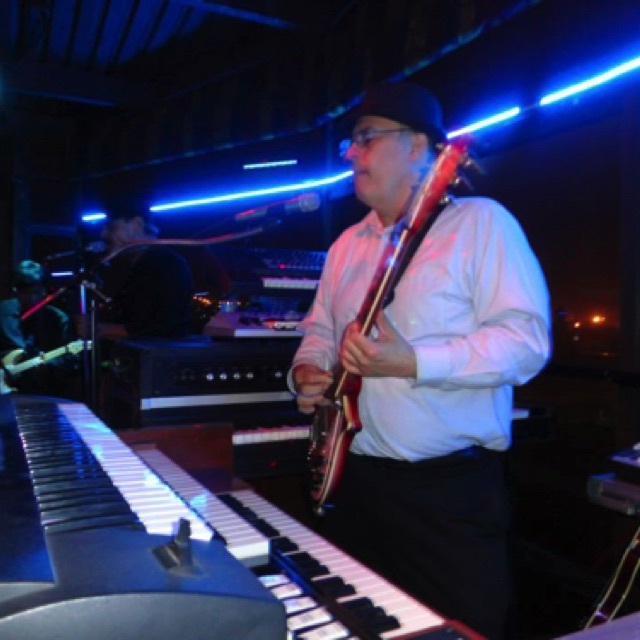 Bass player Edgar Hernandez, has played in several jingles and songs produced by Lan Media Productions. 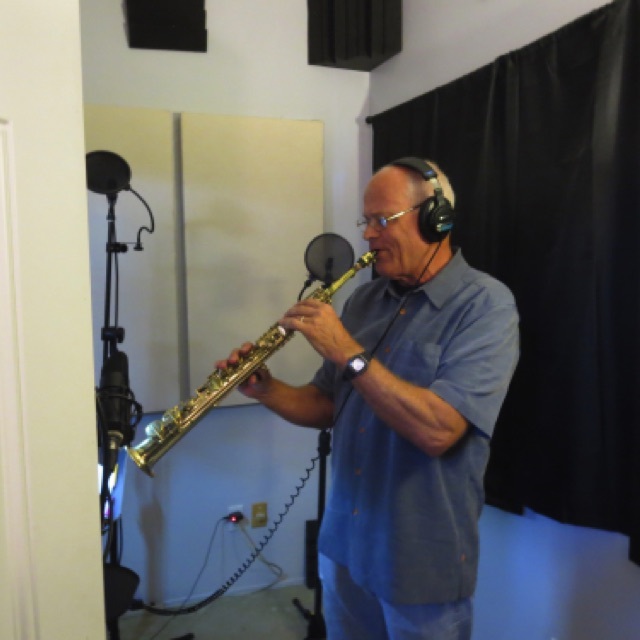 John Rekevics, recording a Sax Part for a Jingle, at Lan Media Productions recording studio. 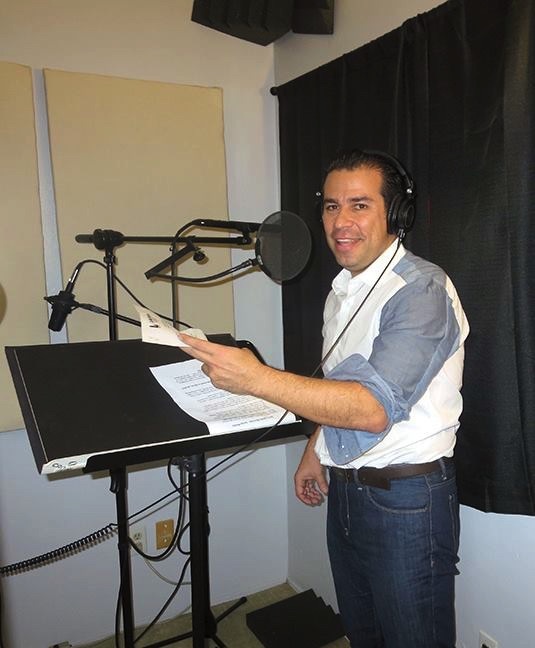 Edgar Vargas practicing a Jingle at Lan Media Productions. Edgar has sung many Jingles produced by Lan Media Productions. 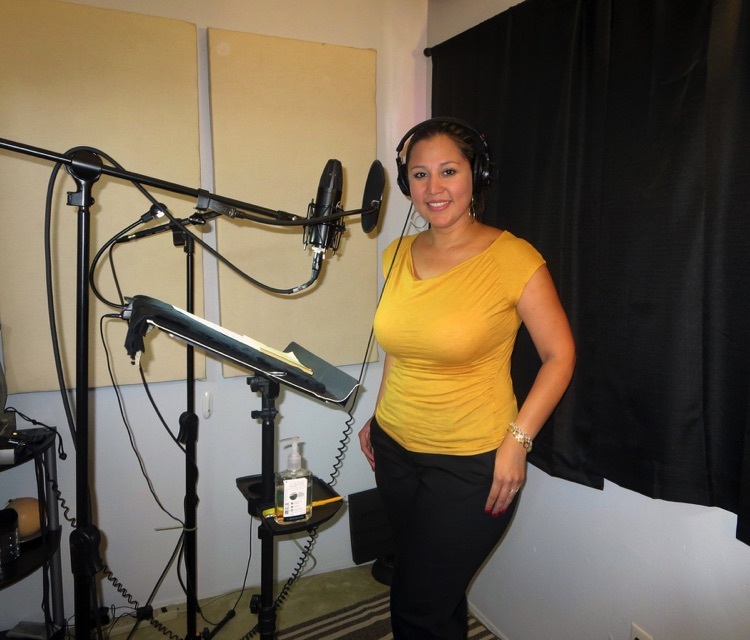 Maribel Roiz recording vocals for a Jingle at Lan Media Productions recording studio. 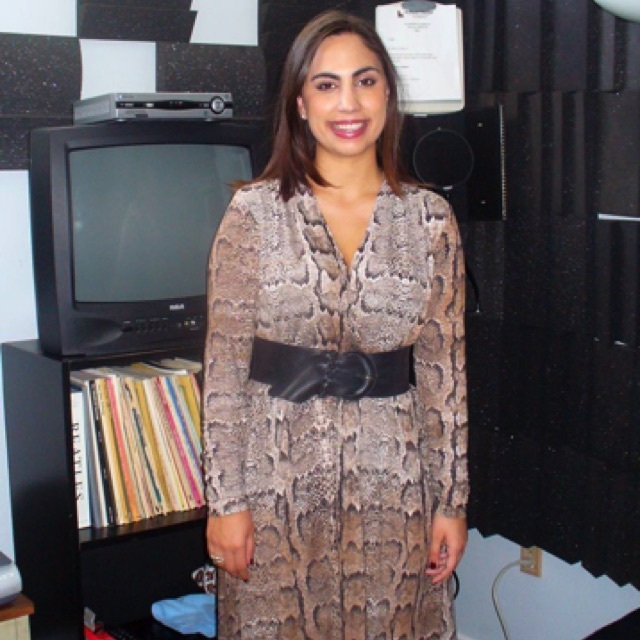 Maribel has sung many jingles produced by Lan Media Productions. 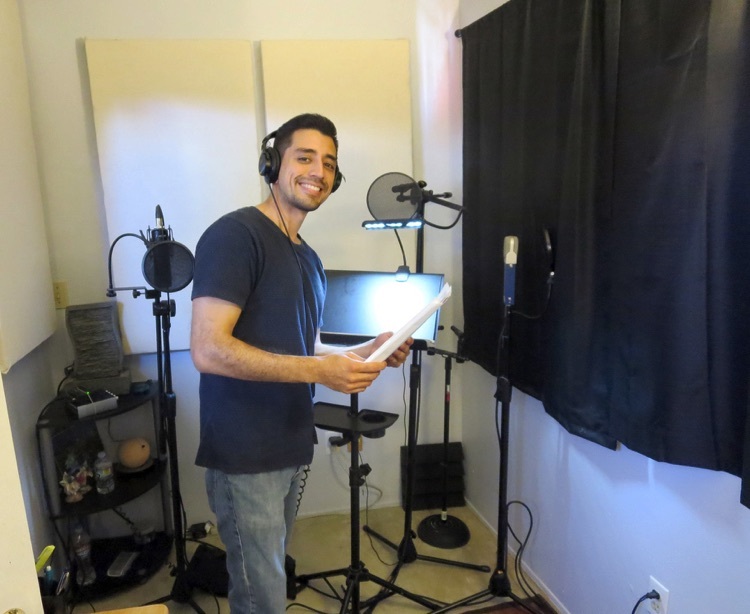 Ricardo Berron recording voice-overs at Lan Media Productions recording studio. 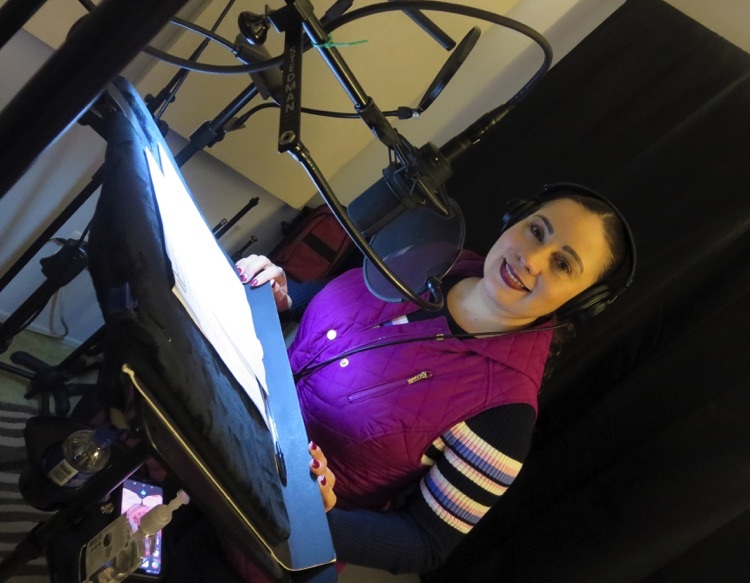 Olivia Ramos recording a voice-over. 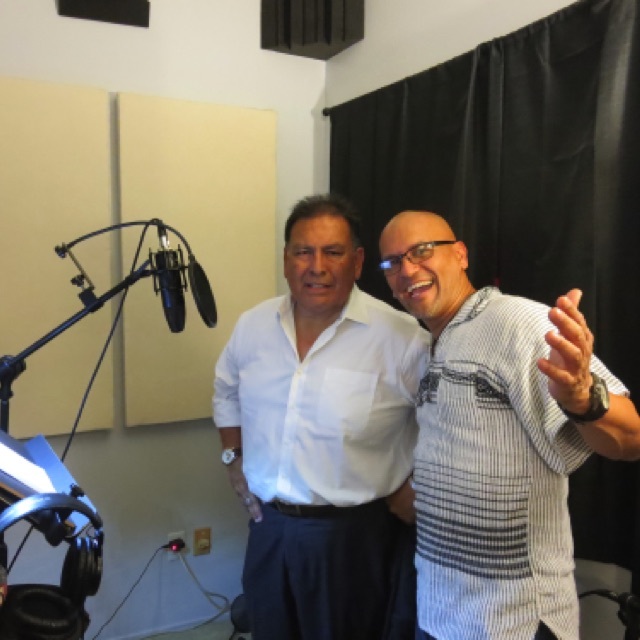 George Rivera at Lan Media Productions. 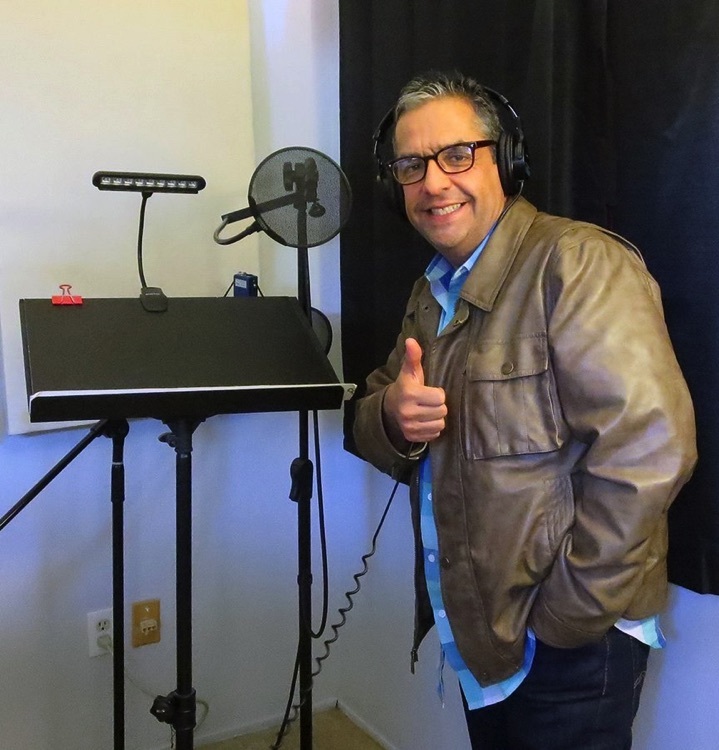 Guillermo del Rio and Olivia Ramos recording at Lan Media Productions. 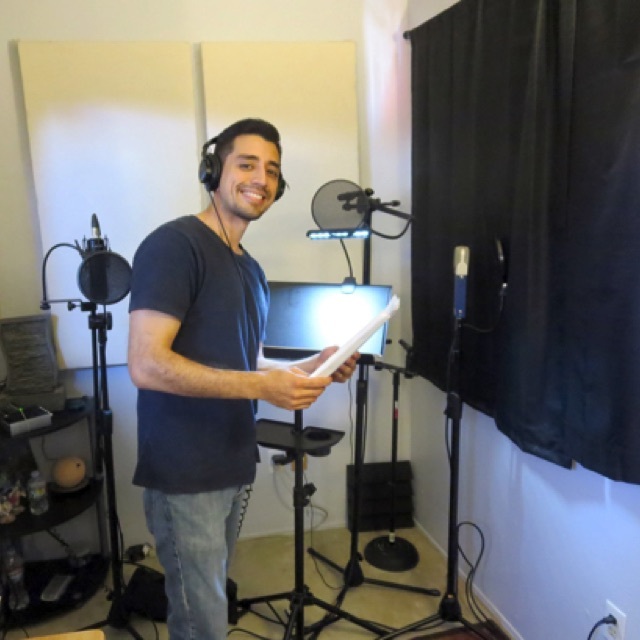 Gabriel Sotelo recording a voice-over at Lan Media Productions. 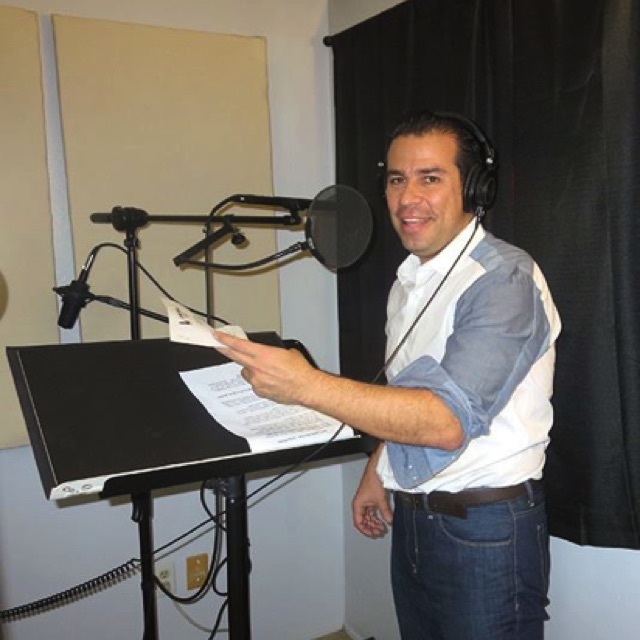 Zeji from Televisa, recording at Lan Media Productions. 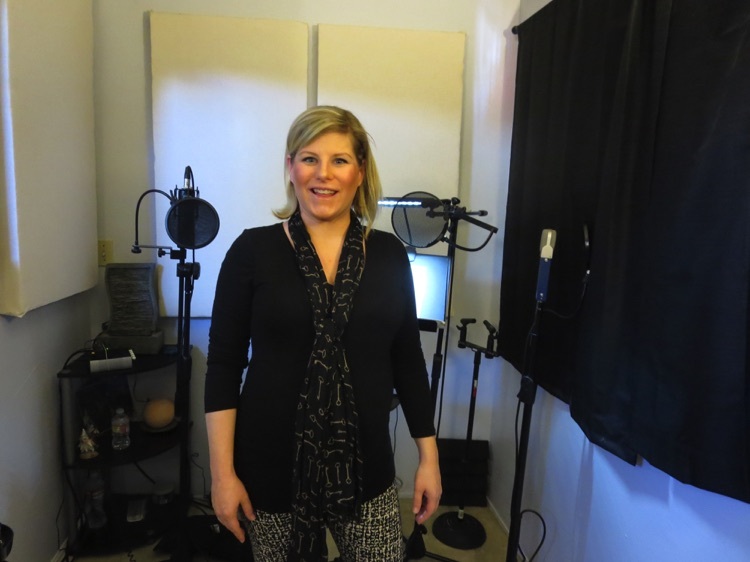 Tracy Burklund recording voiceovers at Lan Media Productions recording studio. Rafael Sigler recording a VO at Lan Media Productions. 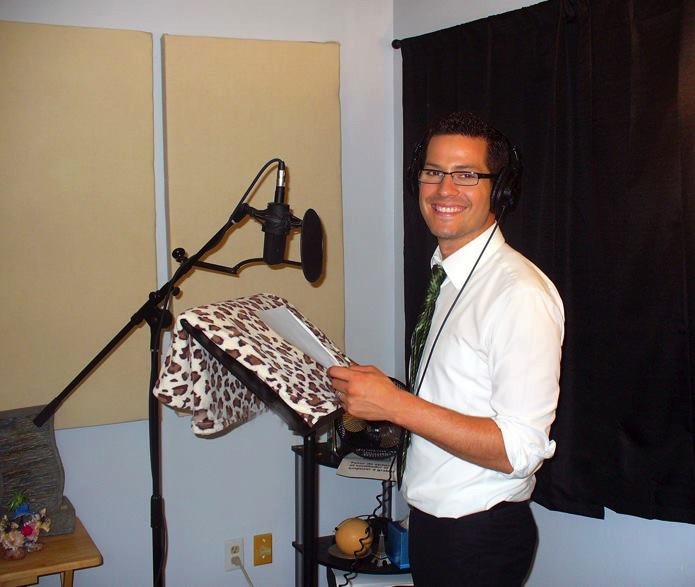 Jag Duran from EXA, recording a VO at Lan Media Productions. 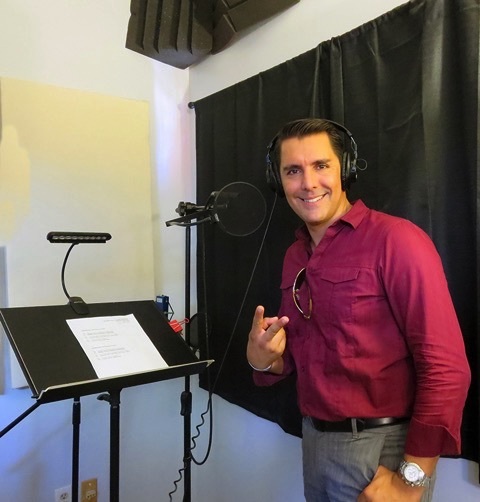 Felipe Castaneda recording voice-overs at Lan Media Productions. 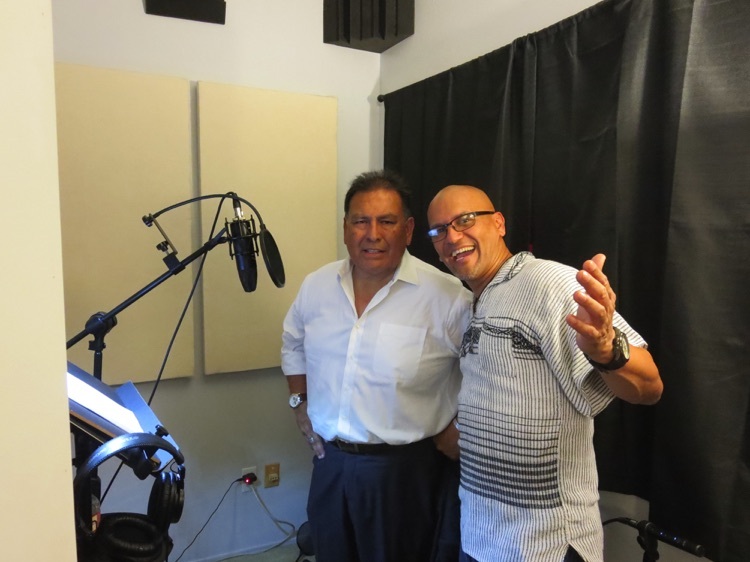 Carlos Gonzalez y Nestor Martinez "Tito" recording at Lan Media Productions. 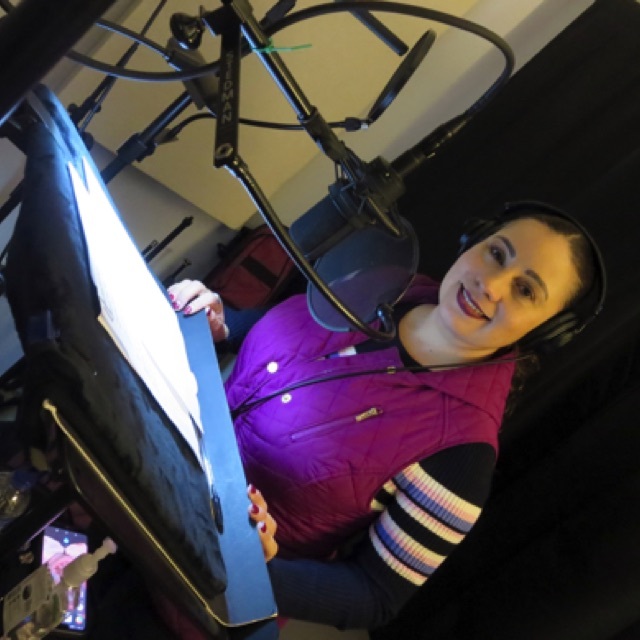 Yanula Ramirez taking a voice-overCourse at Lan Media Productions. 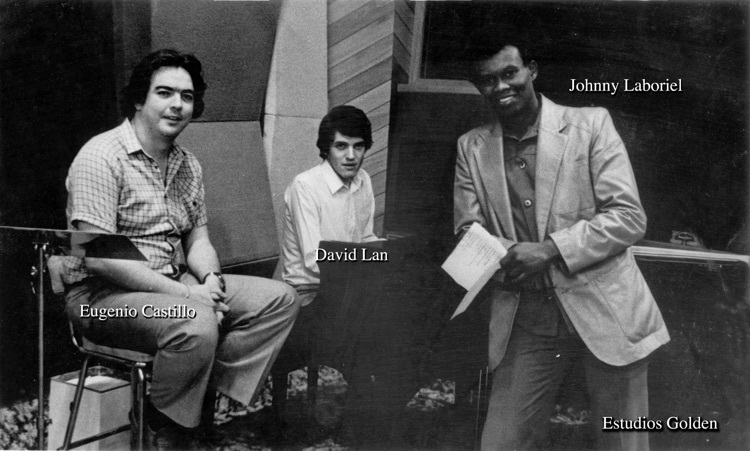 1982 - Johnny Laboriel Eugenio Castillo and David Lan at Golden Studios, recording Madera en la Piel, a song fro the Festival OTI 1982. 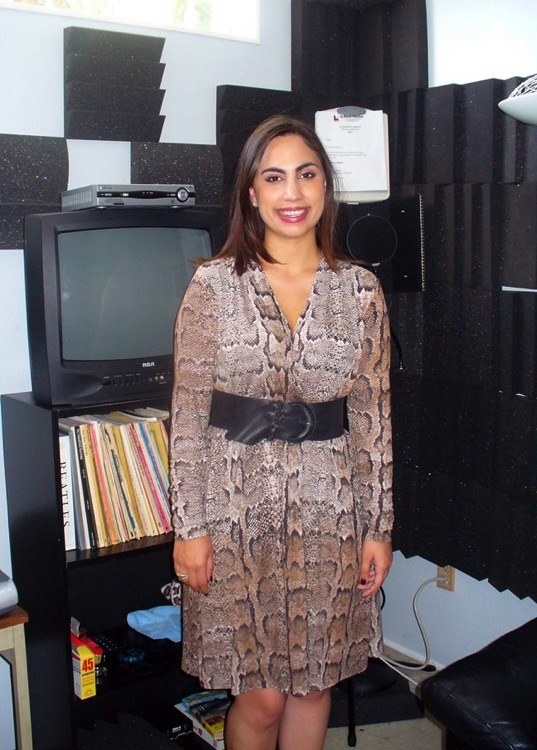 We use our professional recording studio in San Diego County for all our music projects & audio productions. 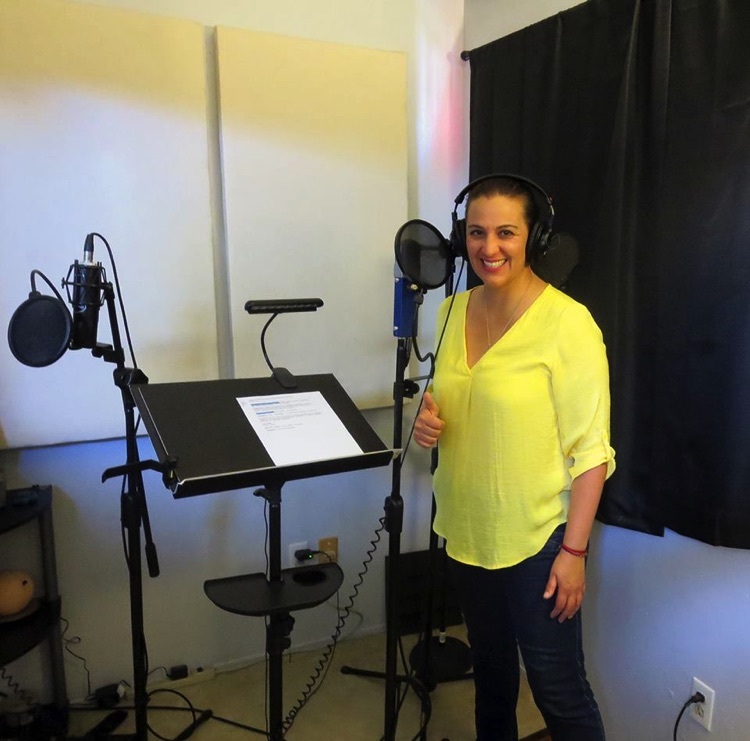 When needed, we also rent the studio for advertising agencies voice-over recording projects, for singers (vocals), solo musicians, radio spots productions, remote recording of interviews, etc. 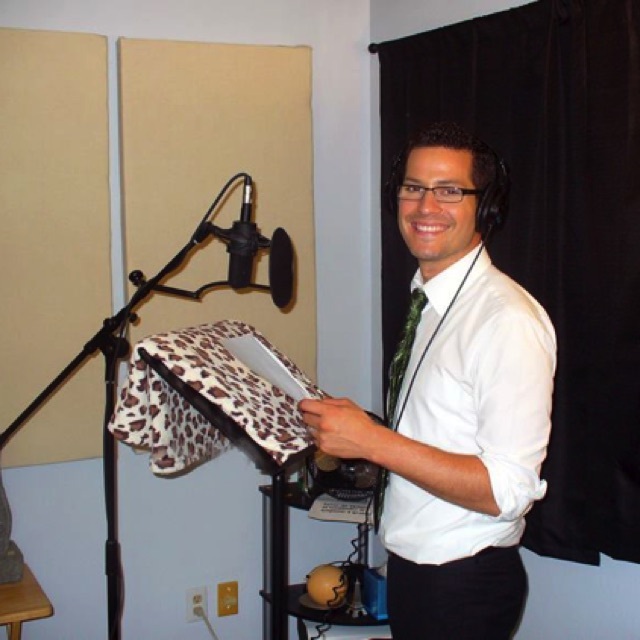 Send us a email and let us know about your project. 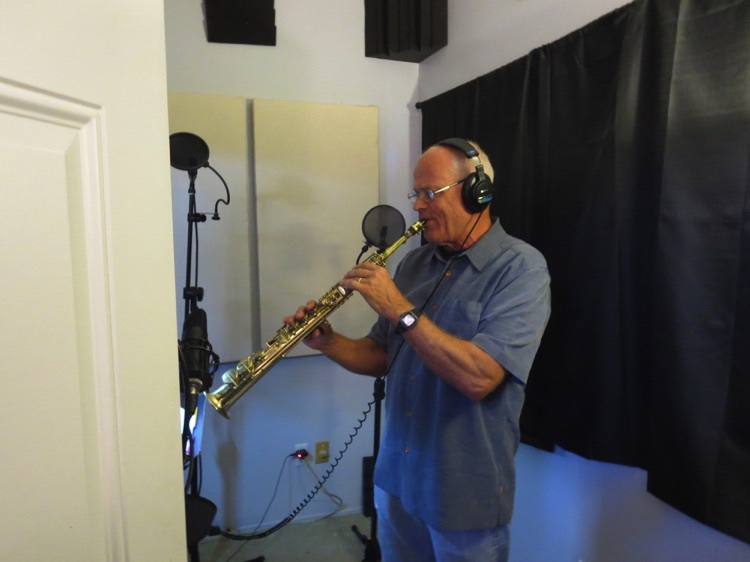 We respond fast!